Congrats to Amanda, who won Cherrypicker (Blue Line Hockey #7) by Stephani Hecht! 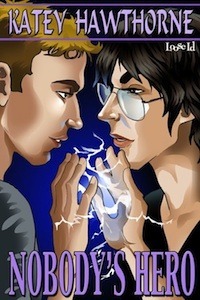 At Embrace the Rainbow, LA Witt’s giving away two paperback copies of Static. Not sure when this one ends. Tracy’s giving away a copy of The Player and the Prude (Holsum College #4) by Daisy Harris. Not sure when this one ends, either. Joder’s giving away an ebook copy of Racing to Love by Amy Gregory. Contest closes 11:59 pm CDT, July 6. At Rarely Dusty Books, Abigail Roux is giving away several different different prizes related to the Cut & Run series. Contest closes July 7. Jessica Freely’s giving away a paperback copy of More by Sloan Parker. Contest closes 11:59 pm EDT, July 9. Joyfully Jay’s giving away an ebook copy of The Auspicious Troubles of Chance by Charlie Cochet. Contest closes 11:59 pm EDT, July 10. 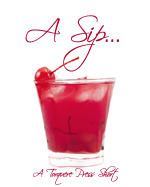 Go see what books are part of Operation TBR Reduction at Fetch Me My Fainting Couch this month. Closes July 31. New releases and more: Rarely Dusty Books (m/m romance), Literary Escapism (UF/PNR), Tor.com (PNR), and Book Lovers Inc (romance etc). Jenre on promotional blog hops and tours from an author’s perspective. Becky Black shares writing linkity with an m/m focus. KZ Snow ponders how authors were different before the advent of epublishing. This could have implications for ebooks (definitely read the comments) – a European court ruled that it was legal to sell used software, even if it was a downloaded title. A hotel in the UK is trying Kindles instead of bibles. OneHundredFreeBooks updates hourly with new free Kindle ebooks. Your ebook reader might be collecting information on your reading habits. A short history of condoms. Make sure you won’t get cut off from the internets on Monday. The Mary Sue has a nice post about the Higgs boson discovery. “Scientists invent mind-reading system that lets you type with your brain”. Why conventional tomatoes are so often tasteless. “A guide to refrigerator safety when you don’t have electricity”. Learn the signs of dehydration to prevent heat illnesses. Summary of the new US healthcare law. “How to get rid of runners stitch”. The highest ranked weightlifter in the US is female, impoverished, and heading to the Olympics. Perfect guacamole – make sure you check out the comments for more recipes! Cheap and easy chicken curry. Tomato and mozzarella potato salad with lemon-buttermilk dressing. 20 recipes that won’t heat up the kitchen. 15 recipes for summer cookouts. No-bake icebox “cake” and 25 other no-bake desserts. Spicy roasted shishito pepper margarita. 10 different takes on iced tea. Multigrain gluten-free lemon poppy seed muffins. Remember to read labels, because gluten lurks in unlikely places. 16 things Calvin and Hobbes said best. Have you seen what LEGO’s up to in Australia? The original 1958 patent drawings for LEGOs. Gay sites you might not be familiar with. Rooms as seen from above. “Iconic images redone with Star Wars action figures”. People actually post public Instagram pictures of their credit and debit cards?! Best patriotic autocorrects for the Fourth of July. SO very Mayhem. Also very Mayhem. Tiger and baby! Baby tigers! Baby leopard! Lioness and baby! Tiger! Fennecs! Baby fennec! Kitten! Baby snow leopards! Baby raccoons! Baby snow leopard! Baby skunks! The Isle of… Where? by Sue Brown. ebook. Very good m/m romance about a technical writer from Michigan who’s on the Isle of Wight to scatter his best friend’s ashes, but he’s having a hard time doing so. A very sweet, cute, and somewhat overwhelming guy steps in to offer support… I was surprised at how much I liked this, and at how much it pulled me in. 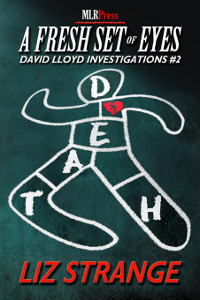 A Fresh Set of Eyes (David Lloyd Investigations #2) by Liz Strange. ebook. Very good m/m mystery in which David agrees to look into a case that’s been closed for a decade, as the evidence that sent three young men to jail for killing two boys was flimsy and circumstantial. In a shocking development, I figured out who the real killer was the first time said killer appeared in the story! Good Company by JL Merrow. ebook short. Very good short m/m story about a young man hitchhiking to Glasgow who’s picked up by a guy driving a Mercedes. HFN. Stronger Where It Counts by JL Merrow. ebook short. Very good short m/m story about an IT guy working in a small Southern town for a week who gets dragged to a (straight) strip joint by his clueless client. The evening doesn’t seem so bad after he sees the hunky (and vaguely familiar) bartender… This has an HFN ending – I’d actually like to read a followup story about these two! Graceland by Ally Blue. ebook. Very good m/m romance about a nursing assistant and a slightly overweight Elvis impersonator who isn’t managing his diabetes very well. Definite bonus points for breaking out of the perfect white male mold of so many m/m romances – not only is the Elvis impersonator a bit overweight, he’s Cherokee and the nursing assistant is black. Equilibrium (Superpowered Love #1) by Katey Hawthorne. ebook. Good paranormal m/m romance about two friends and roommates, one straight, who have some extraordinary abilities that they need to keep hidden from regular people… whoops. 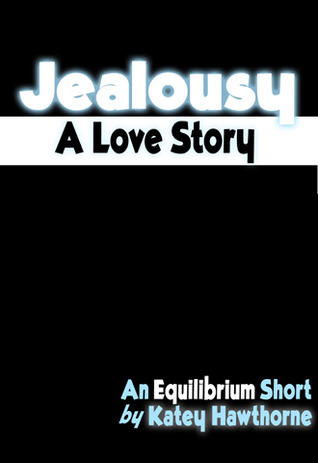 Jealousy: A Love Story (Superpowered Love #1.1) by Katey Hawthorne. free ebook short. Good short paranormal m/m romance in which Sam gets jealous because another guy is blatantly pursuing the oblivious Hansen. Best Gift Ever (Superpowered Love #1.2) by Katey Hawthorne. free ebook short. Good short paranormal m/m romance in which Sam and Hansen celebrate Christmas together while working through some rough spots in their relationship. 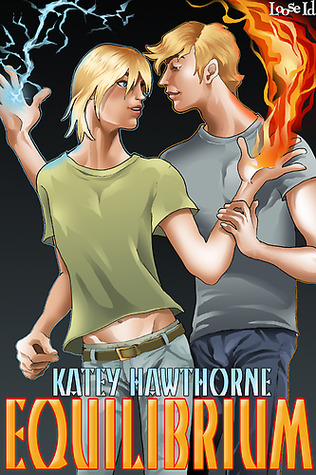 Riot Boy (Superpowered Love #2) by Katey Hawthorne. ebook. Ok paranormal m/m romance about a bookstore clerk who becomes fascinated by a mysterious and flighty punk rock bass player. This one just never really pulled me in. 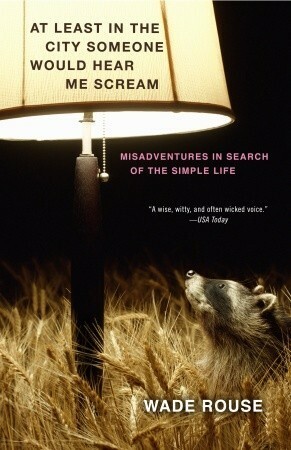 At Least in the City, Someone Would Hear Me Scream: Misadventures in Search of the Simple Life by Wade Rouse. Wade and his boyfriend Gary bought a cabin in rural Michigan and left behind their lives in the city. This is a humorous look at their attempts to reconnect with nature, themselves, and each other. While I did enjoy this overall, I also found Wade to be pretty annoying at times. 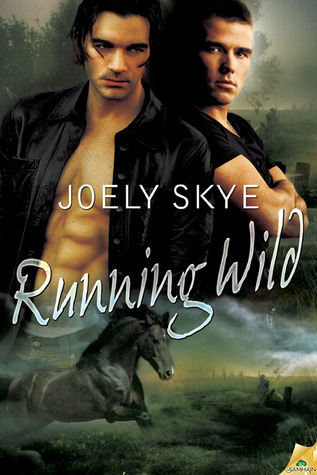 Running Wild (Northern Shifters #4) by Joely Skye. ebook. Ok paranormal m/m romance about a college student who’s rescued from some bad guys by a strange black horse, then left at an old man’s farm, with his rescue seeming more like a dream… Besides a major plot hole (what, wolf shifters can’t read, only sniff? ), this seemed to drag a bit. Incongruent Angel (Liquid Sin #1) by Cherie Noel. ebook short. So-so short m/m romance about two members of a popular band who have a messed up personal history. A photo shoot and a car accident combine to bring things to critical mass. This just felt like it was all over the place and then it ended abruptly. Posted by Chris on Friday, July 6th, 2012, at 2:00 am, and filed under Linkity linkity link, Reading, Reviewettes. I never know where to start first with linkity. Graceland is definitely on my wish list. Chris- I think the Batman lawnmower could change the world of landscaping as we know it. 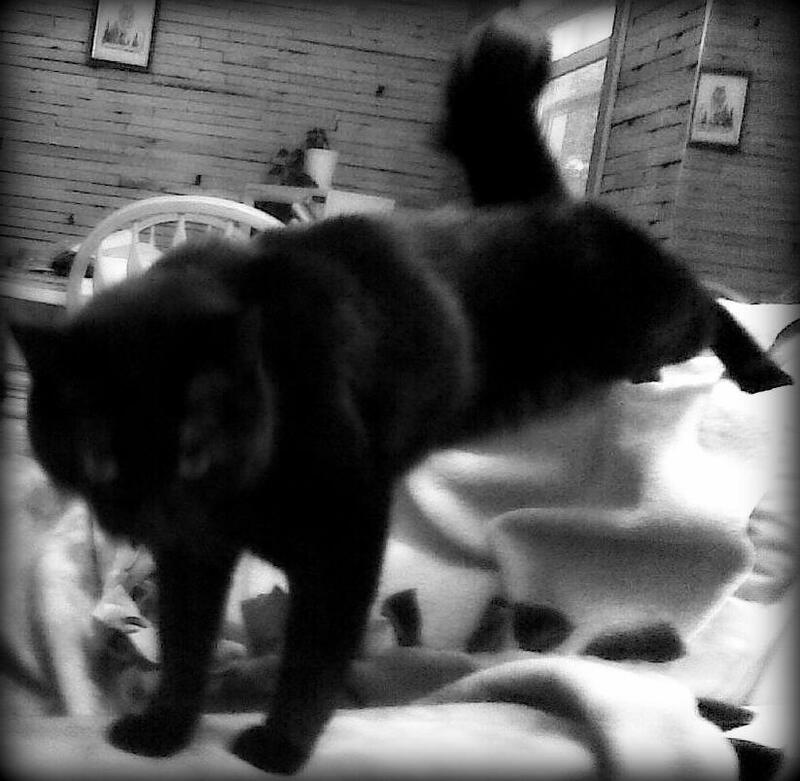 Ooo, that looks like a comfy stretch, Mayhem! A recent post from mrspao..Good night, Eileen. Love Calvin and Hobbes! Thanks. I miss Calvin and hobbes. Maybe tonight I’ll go sit in the AC and read my C and H collections. But no 4th of July cakes that’s for sure. I’m not sure what’s worse: the ridiculous packing job by Amazon, or the fact that someone would order one Sharpie pen from Amazon in the first place. Yes, it might be a little cheaper (by what, a few cents? ), but what a waste of resources for something that could be picked up the next time you go to a grocery store or drugstore. Tasteless supermarket tomatoes… Can’t wait for my garden tomatoes to get ripe. Saw one starting to turn today. It’s one of those truly ugly ones that make you want to cry because it’s so very good. Love your Friday Linketies. Takes me hours to get through them – and those are just the ones that take my fancy. Always like to see what’s happening in publishing news. And all the Bookity and the eBookity and your reviews… Not forgetting the comps! Fun writer linkies! And lego etc. Sheba had a torrid affair with a shoe. The Blogess’ anniversary post had me rotfl. I love the article about Sarah Robles though it saddens me that our culture just doesn’t really have a spot (at least not a healthy one) for people with anything in the ballpark of her body type. I hope she wins big just to get the spotlight on how we treat people who are outside of the cultural size norms (both big, small, male and female).